Looking for the best books for young children? Wondering which books are best to read to your pre-schooler? This list of the Top 10 best books for children aged from 3 to 4 years is a great place to start. These books are the tried-and-true, no-fail best books for young children in this age group so they make great gifts for birthdays and Christmas. 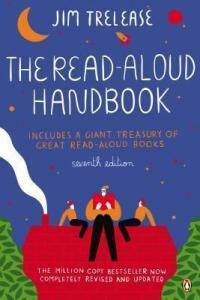 They're also books that are fun to read aloud. When my children were small, I quickly discovered that lots of the books written for this age group are actually pretty boring. So I set out on a quest to find the really wonderful books; the awesome books that we could enjoy together and that I'd be happy to read over and over again. Because that's a key thing with this age group: if your child likes a book, he or she will want to hear it over and over again. That's all part of the fun and it's actually important developmentally too because repetition and familiarity builds cognitive ability and confidence. Which is why it's important that the books you read are ones you're happy to read again and again. The books on this page should be available in most libraries and book shops. Many of them will also be available in chain stores and in second-hand bookshops but my favourite place to buy books these days is The Book Depository. My three children are now all young adults but our whole family loved these books and they hold many special memories for us all. It comes from a store. I would like some please. This gorgeous story is one in a series of stories about Alfie and his mum and dad and baby sister, Annie Rose. 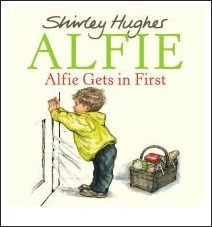 Alfie is about four years old which makes it easy for children of three or four to identify with him and the situations he encounters in the stories. In this story, Alfie and mum and Annie-Rose return from a shopping trip and, while his mum struggles with the pushchair outside, Alfie rushes inside and slams the door behind him. So now Alfie's stuck inside and mum and Annie Rose are stuck outside without a key! Soon everyone in the street is trying to help rescue Alfie. Australian children's author Mem Fox has written some wonderful picture books for children. 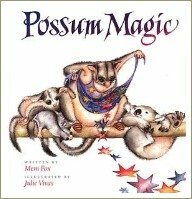 Possum Magic, first published in 1983, is the best-known of her books and something of a publishing phenomenon. 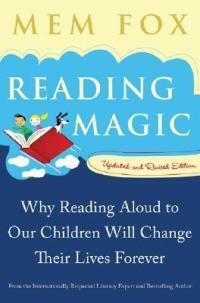 Click here to hear Mem Fox reading Possum Magic. This book probably needs no introduction. 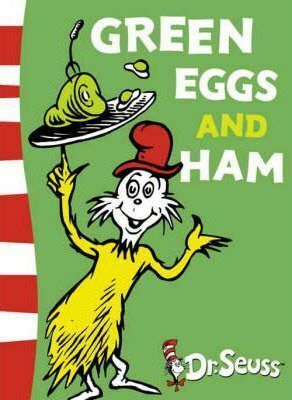 Most people would have had it read to them at some stage and know the story of Sam I Am who keeps trying to convince his friend to try Green Eggs and Ham. Written in rhyme and full of the most delightful nonsense and appealing illustrations, this is also a great book to use as a prompt for a discussion about the importance of trying new things, sometimes even if you think you won't like them. 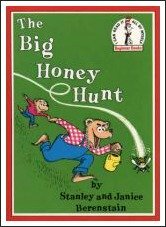 Later, when your child is learning to read he or she will love reading this old favourite all alone. At first glance, this looks like a book for much younger children. Not so! The humour in this delightful picture book appeals to all ages but especially to three and four-year-olds as they discover just what a wombat' does all day. There are holes to be dug, territory to be defended and lots and lots of eating and sleeping to be done! Fantastic illustrations and a lovely story. 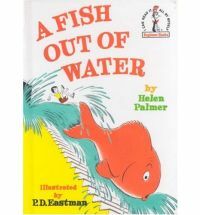 This book was first published in 1964 and has been a favourite children's book ever since. I'm not a fan of the movie but the book is brilliant. It tells the story of Max, who is sent to bed without his supper as punishment for 'making mischief' one night. 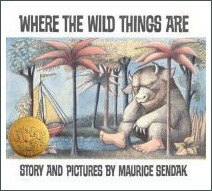 In his room, a mysterious, wild forest and sea grows out of his imagination, and Max sails to the land of the Wild Things. The Wild Things are fearsome-looking monsters, but Max conquers them and is made 'the king of all wild things'. However, he soon gets lonely and homesick and returns home to his bedroom. This book appeals to children for a variety of reasons and on a number of levels, depending on their age. One author has described it as an exploration of how children handle their emotions, anger in particular. Whatever the case, it's a great story and the drawings are fabulous. A book of poems and nursery rhymes is one of the best books for young children to own because it's a book you'll read again and again as your child grows. 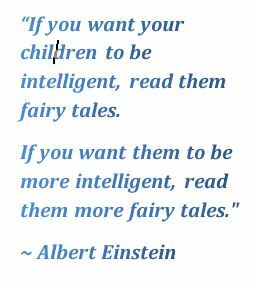 Children love poetry and rhymes at this age. They're great fun to read and are also really important from a developmental point of view because they help young children develop phonological awareness, a crucial skill for learning to read. This is a really gorgeous book, with artwork by Michael Foreman who's one of my favourite writers and illustrators. 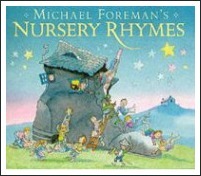 This book contains over 200 of the best-known and loved nursery rhymes and short poems for children. If you'd like to browse through a list of other collections of poems and rhymes for young children, click here. This book is an oldie and the pictures might seem a bit old-fashioned to parents but trust me - kids love it! This is the story of a boy who buys a fish from a pet shop but fails to follow the instructions given by the man in the pet shop about how much to feed his new pet. The fish grows and grows, outgrowing each container the boy finds to put him in until finally the pet shop man comes to save the day. 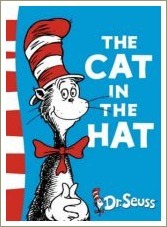 This is one of Dr Seuss's best-known and loved books for young children. It's fabulous to read to littlies and, like many of Dr Seuss's books , comes back into its own when children are learning to read. Children love the rhyme and repetition and delight in the infectious humour of the naughty Cat and his team of helpers. In fact, pretty much all the Dr Seuss books are fun for this age group. If you'd like to read more about Dr Seuss and how he came to write his children's books, click here. This lovely book is illustrated with the most gorgeous, brightly-coloured pictures of children from all over the world. The book is a deceptively simple one. The text is very simple but it conveys an important message in an accessible way which makes it a great book to read to children of all ages, from babies up. Its message is one of tolerance and one-ness - that what unites us is much greater and more important than the things that are different about us - and it's a brilliant message to share with all children. 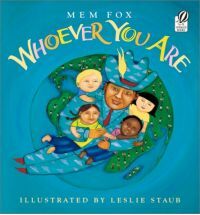 Mem Fox is an Australian author of beautiful picture books for young children and this is one of her best. It's a delight to look at and to read and is also a lovely book to help you teach your child that we are all people first, no matter where in the world we live and that we share more similarities than differences.